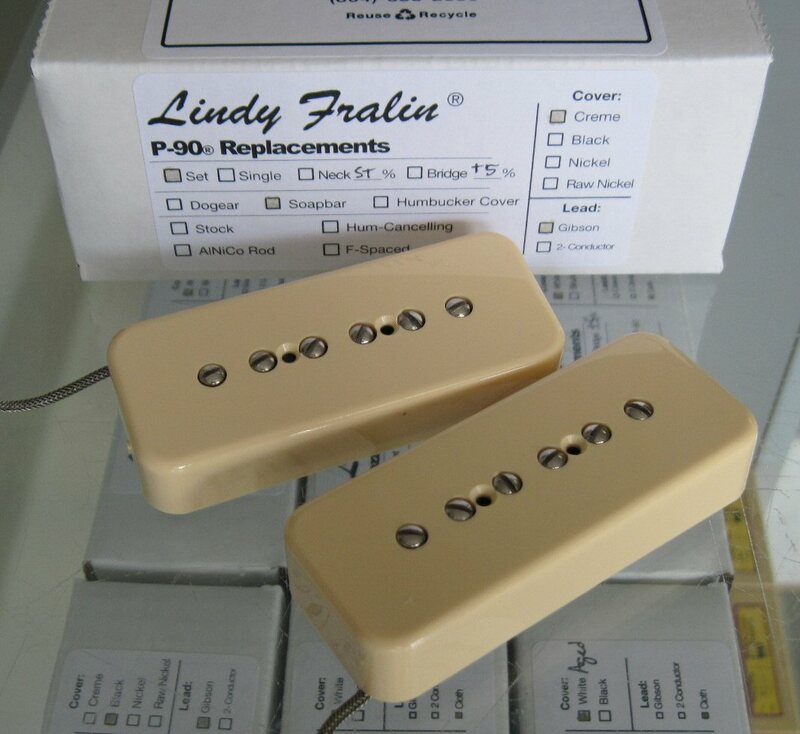 Lindy Fralin Soapbar P90 pickups set with stock output neck and +5% overwound bridge. Set includes creme covers, vintage Gibson style metal braided leads, and mounting screws. 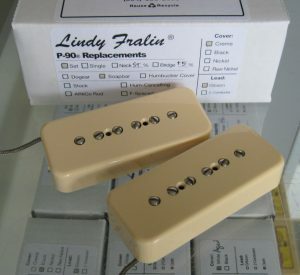 A classic P-90 Pickup known for its big mid-range when used clean, and chainsaw grind when pushing an amp hard. 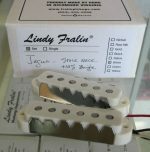 This pickup has all the clarity and definition you’ve come to expect from Fralin Pickups. 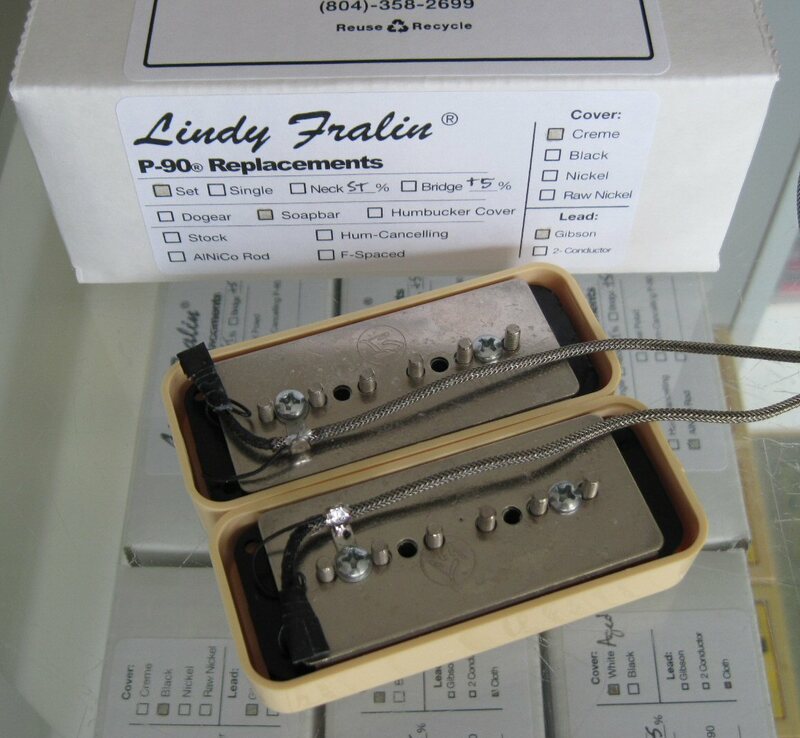 Authorized Lindy Fralin pickups dealer since 2001.